Traditional glamour is always in style. The Paris collection pairs a classic hand painted frame in Antique gold with the sparkle of pendalogue shaped clear hand cut crystal. 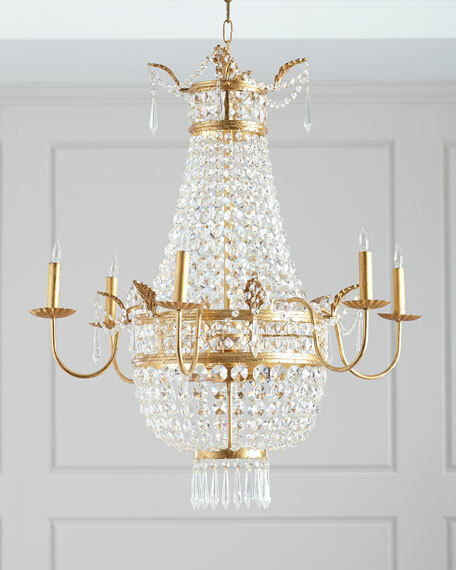 The chandelier exudes traditional style tailored for sophistication and add just the right amount of embellishment to any setting. 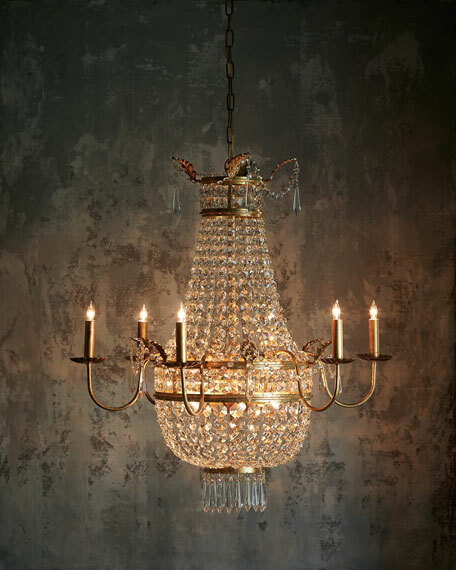 Handcrafted chandelier with crystal detail. Weight, 15.3 lbs. Boxed weight, approximately 20 lbs.